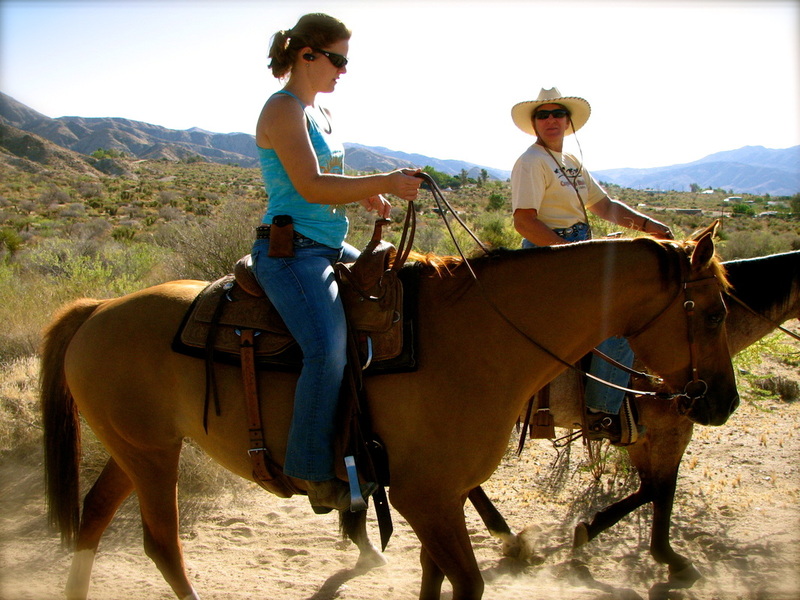 At Coyote Ridge Stable, we will match any verified online price for guided trail rides in the high desert. Click here for ride descriptions. 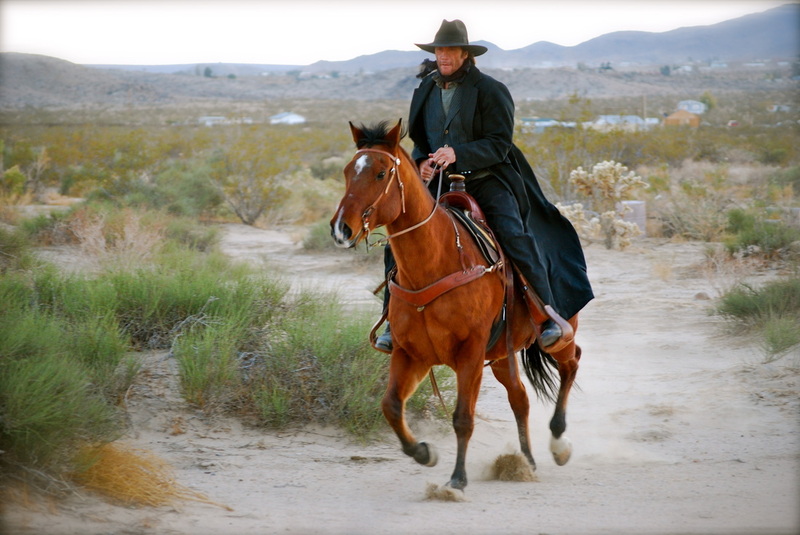 At Coyote Ridge Stable, we have versatile horses who not only provide riders with an excellent trail riding experience, but also appear on film and television. Coyote Ridge Stable is located just 20 minutes north of Palm Springs, California. Our guided trail rides take you through the canyons of Morongo Valley, with beautiful views of the San Gorgonio mountains and Mt. San Jacinto. Our horses are seasoned, safe trail horses, but they retain their individual personalities, making them fun to ride. At 3200 ft. elevation, our mountainous terrain offers abundant wildlife and plant species. Experience magnificent golden eagles, red tailed hawks, and kestrels soaring high above, or perhaps see coyote pups at play, and listen to coves of Gambel's quail chirping under the cover of creosote bushes. Ride with us to experience the richness of the desert landscape, combined with the beauty of wildlife. **Disclaimer: Because horseback riding has inherent risks, injuries can still occur.